Electro-Motive's GP20 was essentially the builder’s first entry into what is now considered second-generation diesels. 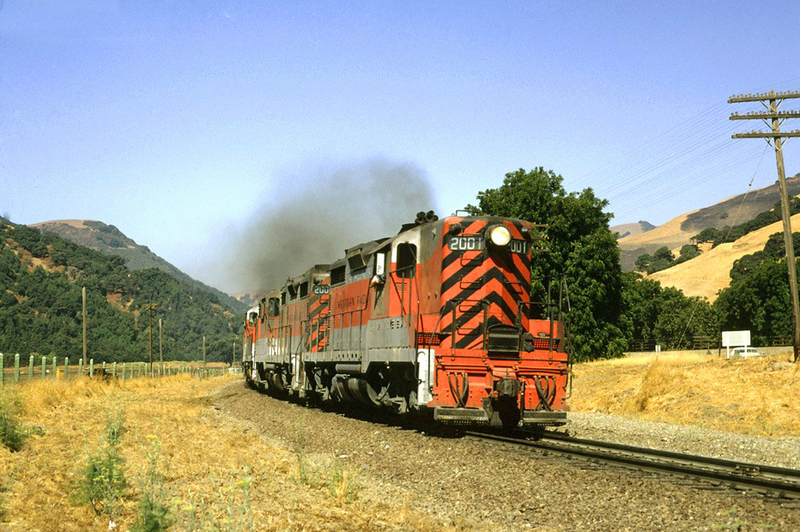 To some extent the locomotive was an experimental design offering a turbocharged version of EMD's reliable model 567 prime mover. It was also the first road switcher the company offered with a standard low nose/hood that tapered away from the cab (the builder would refine this design in the later GP30 model). When production ended on the GP20 a little more than a half-dozen domestic railroads purchased more than 200 examples of the locomotive. Today, this resilient little road switcher can still be found in operation on numerous short lines are the country. Additionally, at least two are known to be officially preserved; Southern Pacific #7207 used by the Blue Ridge Scenic Railway and Western Pacific #2001 at the Western Pacific Railroad Museum. 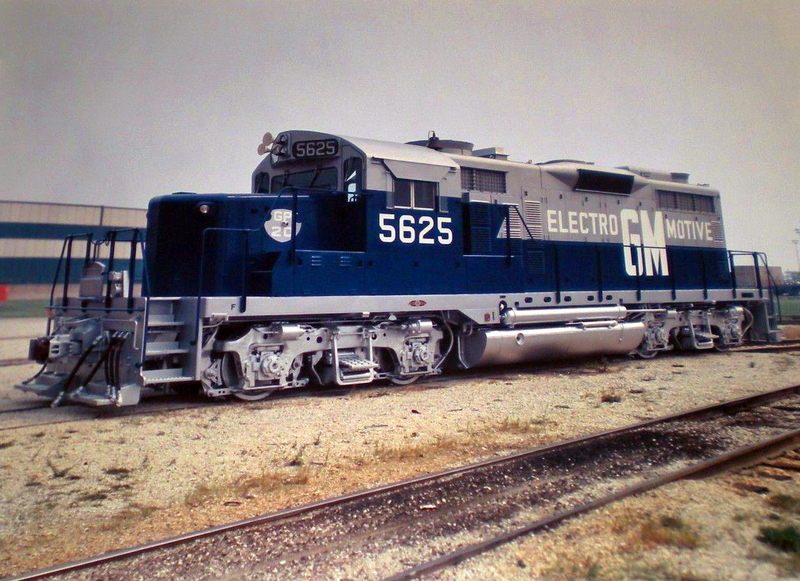 The GP20 debuted in 1959 and remained in Electro-Motive's catalog through 1962. It was the first model of what is commonly referred today as second-generation diesels, or those designs that are clearly distinguished from earlier models with less horsepower and fewer other technological features. The GP20 was one of EMD’s first to feature a low, short hood which became a standard feature on future models over the next 30+ years (until the FRA mandated that the wide "safety" cab employed on every new locomotive in the 1990s for added safety). The GP20's prime mover was EMD’s upgraded 567D2 turbocharged engine, which significantly increased horsepower from earlier models. Interestingly, the idea for the GP20 came from an experimental test by Union Pacific. Using nine of its GP9s the railroad added a turbocharger to boost their horsepower rating to 2,000 dubbing the locomotives Omaha GP20s. The idea turned out a huge success despite EMD's reservations about adding the feature to its prime mover. With the experiment considered a resounding success the builder decided to catalog the turbocharger in a brand new model. The GP20 came equipped with dynamic brakes as a standard option (a system for temporarily employing traction motors as generators and using the resulting electromotive force to slow the train) and offered oil-bath filters to keep out dust, dirt, and other particles from reaching internal components, a relatively new concept for its time. 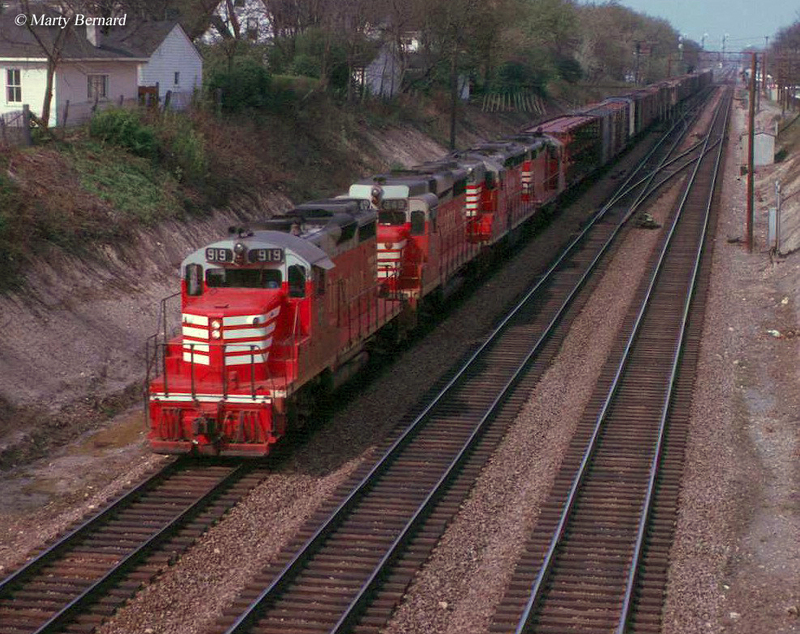 The GP20 offered tractive effort ratings similar to the earlier GP18, which was a slight increase above the GP7 and GP9; 64,000 pounds starting effort and 45,000 pounds continuous. 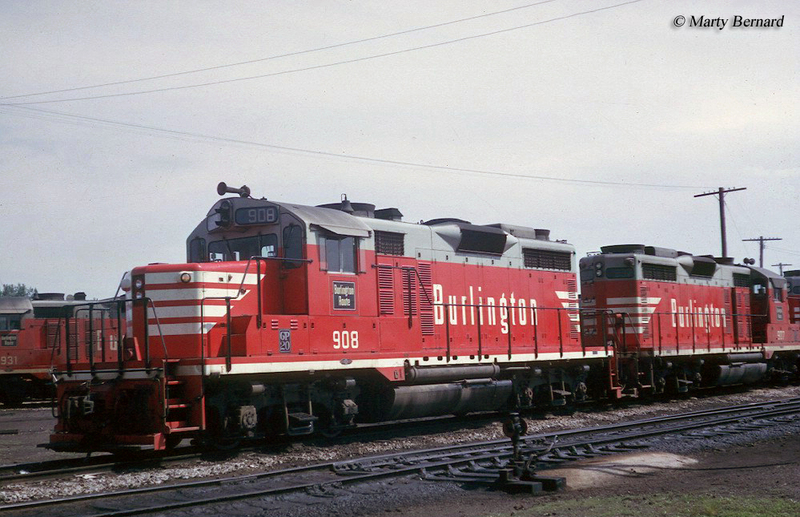 While the locomotive was not as successful as its later counterparts such as the GP30, GP40/-2, and SD40/-2 it nevertheless had decent sales for only being in the catalog for three years and cranked out a total of 260 units. Of note, railroads like the Western Pacific and Great Northern purchased theirs with the standard high hood found on the GP18s, GP9s, and GP7s. Perhaps the key visual differences between the GP20 and the late GP30 was the latter’s distinctive bulge over the cab where the dynamic braking was housed (a cosmetic feature only) and a solid front windshield as opposed to a split version on the GP30. Buyers of the locomotive included the Santa Fe (75), Burlington (36), Great Northern (36, high hoods), New York Central (15), Southern Pacific (34), Cotton Belt (20), Union Pacific (30), WP (10, high hoods). Additionally, EMD's four demonstrators, 5625–5628, went to Southern Pacific. 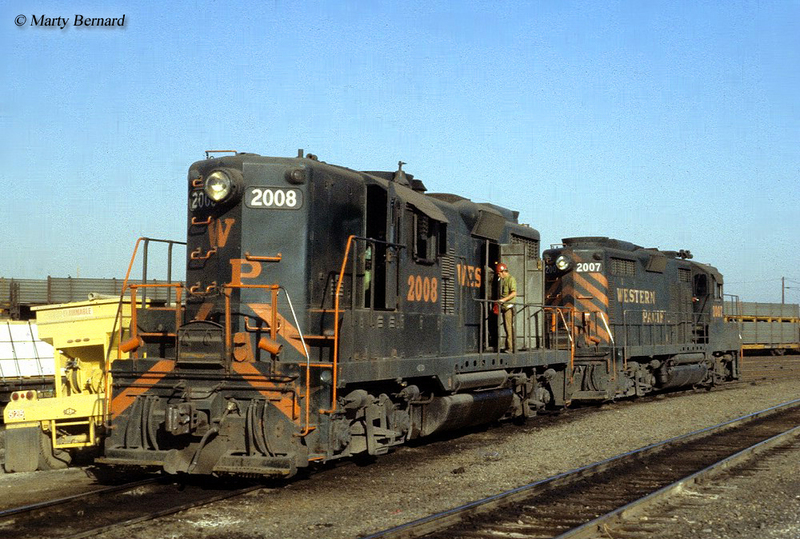 Places where one can still find GP20s in operation today include the Georgia Midlands Railroad, RJ Corman, Lycoming Valley Railroad, Georgia Northeastern, Alabama & Tennessee River, Decatur Junction Railway, Georgetown Railroad, Central New England Railroad, Sierra Railroad, Keokuk Junction Railway, Peoria & Western, Kansas City Terminal, Massachusetts Central, Arizona Eastern Railway, Fort Smith Railroad, Georgia Southern, and the Toledo, Peoria & Western.